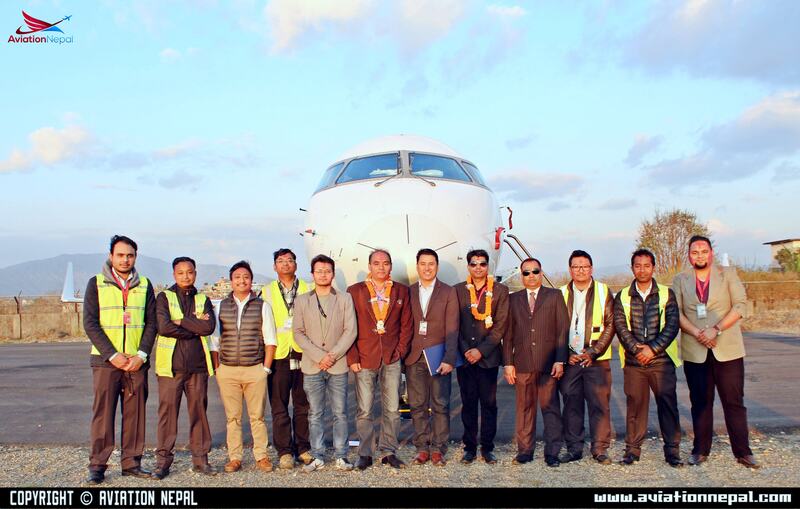 The additional Bombardier CRJ-200 scheduled to arrive today at Tribhuvan International Airport finally touched down at 4:45 pm local time. The aircraft flew from Arizona, USA and landed at Kathmandu making transit at Portsmouth, Iceland, Canada and Azerbaijan and it was in command of foreign pilots. 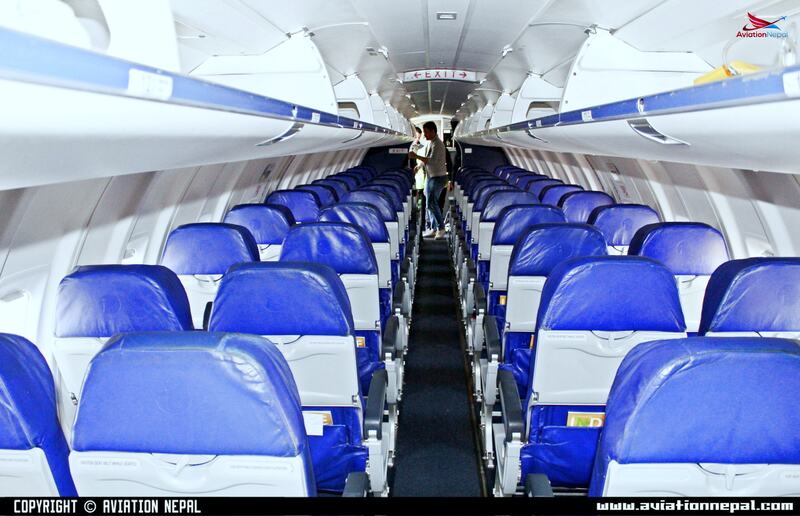 Saurya Airlines is delighted to own another vibrant jet aircraft and become a competent airline industry in Nepal. There was a warm welcome ceremony conducted to the Bombardier CRJ-200 at TIA under the presence of Company’s Director, Manager, Engineers, Staffs, CAAN authorities and Media personnel. The aircraft has arrived with a plain white livery. According to the officials, they will be changing the livery soon. The registration number for the jet is allocated as “9N-AME”. The airlines bought the aircraft with a cost of 1 Billion. The addition of the new jet aircraft now makes Saurya Airlines a proud owner of 2 Bombardier CRJ-200 jet aircraft. According to the officials, the new aircraft is added to continue quality air service with optimum performance in domestic flight operations. 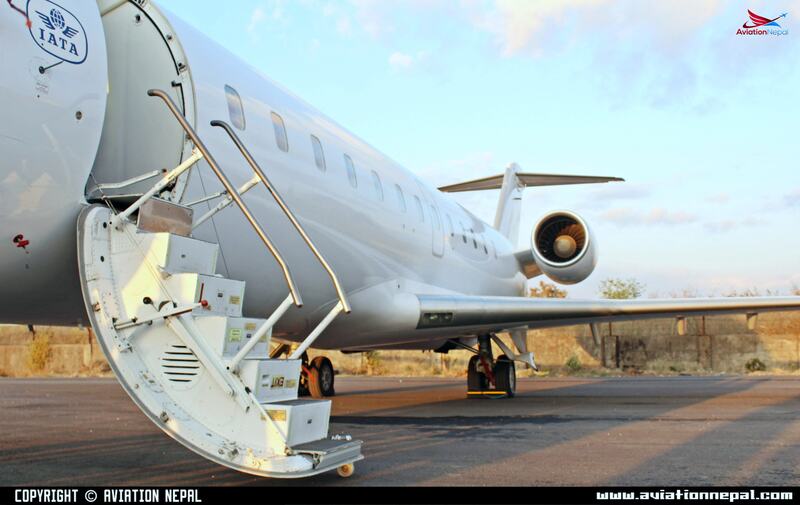 Currently, the airline is operating through CRJ-200 with registration number “9N-ALE” and conducting flights to Nepalgunj, Biratnagar and Bhadrapur. The addition of another aircraft will boost the service and flight operations. The company will be adding new destinations namely Dhangadhi and Bhairahawa and will also be enhancing flight safety hence, satisfying passengers with pleasant and safe flights. The addition of CRJ-200 has uplifted the profile of the airlines to a new level. This is a huge achievement for the airlines and is also a massive source of encouragement and competition to boom the aviation industry in Nepal. The Bombardier CRJ200 is a family of regional airliners manufactured by Bombardier, and based on the Canadair Challenger business jet. These regional jet models were formerly known as the Canadair CRJ200. Photo: Saurya Airlines Crew with Foreign Captains. Photo: Saurya Airlines Team Welcoming the Foreign Captains. I expect you can guess the inevitable question – do you know its serial number? I like the colour scheme – what we English enthusiasts call “Polar bear colours” – all white! !